The first consideration is the desired field of view of the camera. 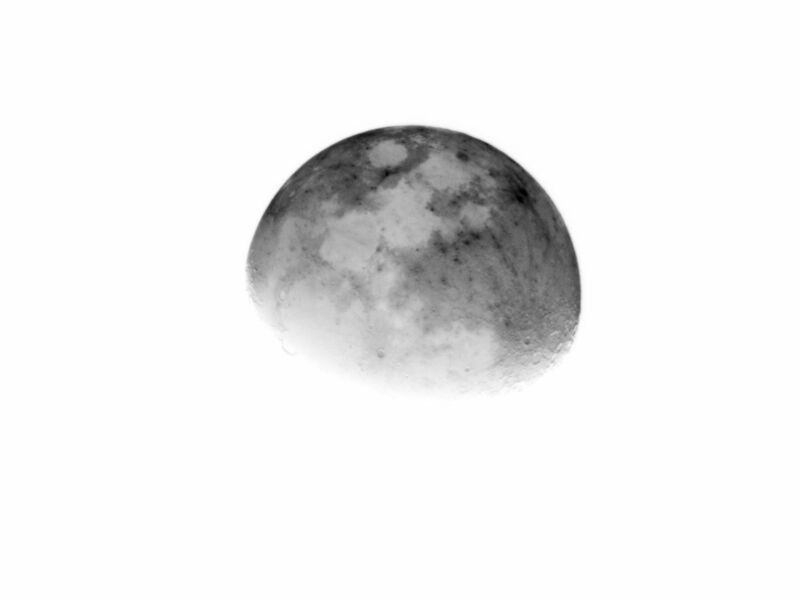 We should definitely capture the full size of the moon in the field of view. To acchieve that, the focal length of the optics used must not be to large. The well-known (though slightly outdated) Philipps SPC900NC has a chip of "1/4 inch" format. For such a camera chip, the focal length should be in the range of only 200mm, to capture the full width of the moon in the field of view. A small tele-foto lens can be a good choise, here. For a better (and more expensive) camera with a "1/2 inch" chip, the focal length should not exceed 400mm. This means a SMALL telescope. A 1/2 inch camera and 135mm focal length give a small crescent in a wide field. With large fields, often planes and birds are caught, too. 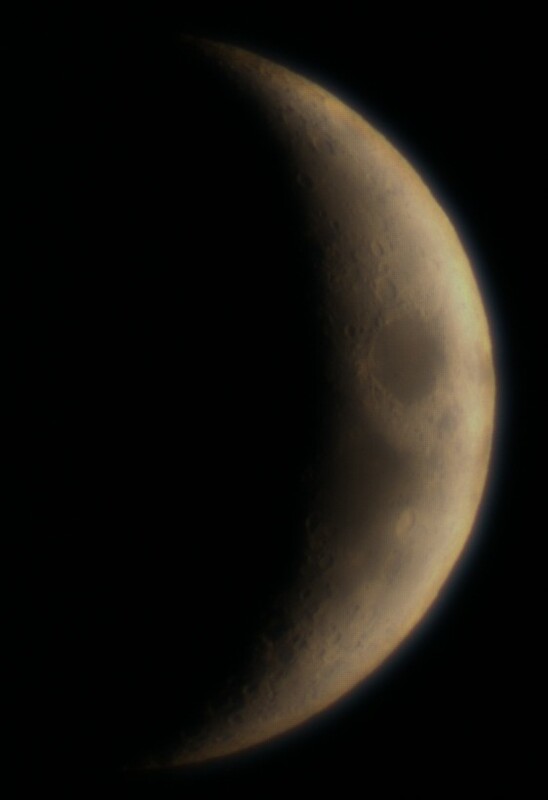 A 1/2 inch camera and 400mm focal length give a large crescent image. Near the horizon the sharpness of the image often suffers. To get a sufficiently detailed view of the crescent, we should have at least 640x480 of true (non-interploated) resolution for the images/video. Higher resolutions such as 1280x1024 are better, though more expensive. You should try to get a USB 2.0 or Firewire camera, to avoid serious loss of quality with USB 1.1. Of course, the optics used must be able to actually generate a sharp enough image. Cheap optics sometimes fail in this regard. In the realm of webcams and industrial video cameras, CCD chips usually deliver better image quality than CMOS chips for these low-light applications. When imaging the crescent near the horizon, the camera should be rotated in such a way, that the image represents normal human vision: Up is up and right is right. The image should not be mirror-reversed, as that tends to confuse people. To get a properly exposed image of the crescent can be very tricky, if we want to emulate human vision. This task is actually easier during bright twilight, when the crescent is not much brighter than the sky. The task gets more and more difficult as it gets darker. Most cameras are not able to properly capture the crescent itself and the earth-shine of the moon in a single exposure. The human eye actually has a large advantage in this situation. You definitely will need to be able to manually control exposure, brightness and contrast settings of the camera, to get the best possible image. A thin crescent can be very difficult to find visually. The small field of view of the camera / telescope will make this task even more difficult. A well aligned telescope-mount can solve this problem, by allowing to use some "GoTo" capability, to point the telescope at the correct location. This can still be tricky for various reasons. To that behalf, it makes sense to have a second lens with a larger field of view (=shorter focal length) available, just like most telescopes have smaller finder scopes. The image of the camera is generated on the screen of some computer / notebook. Do not forget that these also need electrical power. Also, depending on the circumstances, additional stuff such as a table, chair, dust protection, heater/cooler whatever might be required for the observation. A good digital-camera or DSLR which can display the live-image on the screen might be a valid alternative. With the recent cameras, this live-image has decent quality. 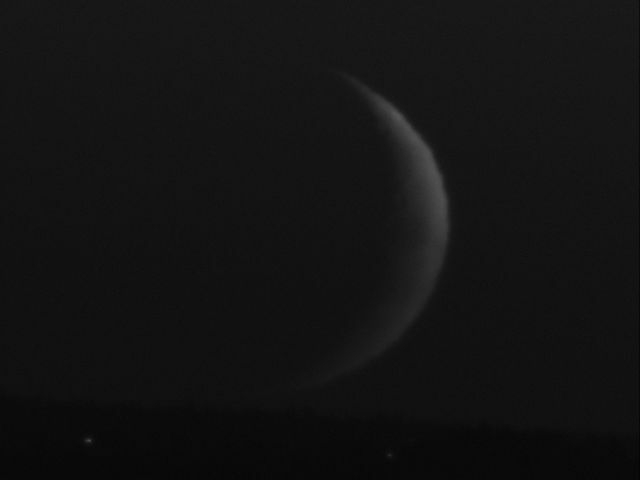 The brightness range of the crescent in a dark sky can probably not be captured in a single exposures of the camera. Some parts of the image will be under-exposed, other parts over-exposed, where the human eye dynamically adapts. Color and brightness perception of the human eye heavily depends of the surroundings. Any bright display seriously affects these surroundings. The glare of the screen can be quite annoying for oneself and the people around you, when trying to compare the view on the screen with the view through the scope. A crescent can appear in many different situations, from dark sky with stars, to almost daytime blue twilight, which poses very different challenges to the system. Color accuracy and consistency between camera and display is an additional difficulty. The more scientific video cameras are not as convenient to get that right as the better digital cameras, for which ready-made hardware and software for color-calibration is available. I recommend to do small steps first: Operating the telescope and camera and computer to get SOME image of the moon can be challenging enough. Fiddling with the camera and software settings to get a good image is a second step. Only when these issues are consistently solved should we consider the more difficult issues of color accuracy and so forth. I would actually recommend to start with a monochrome camera (or such settings for a color camera) and worry about color accuracy later. 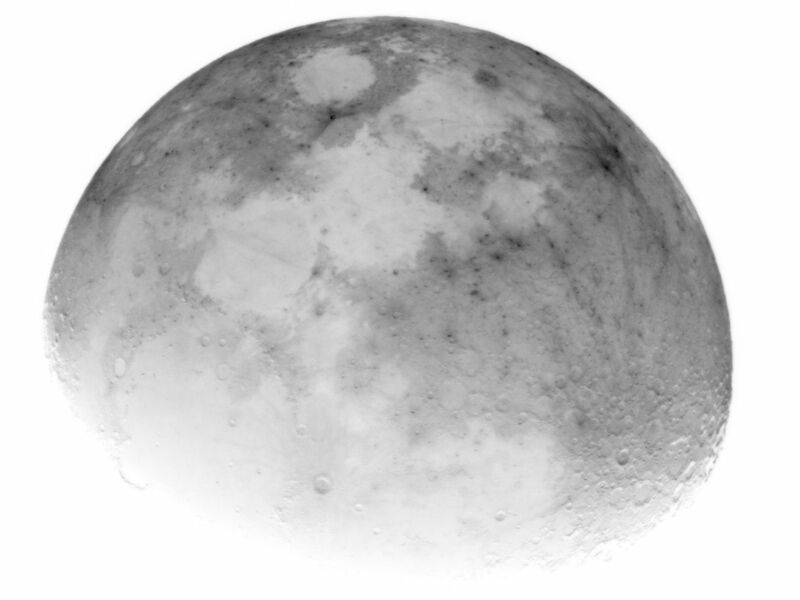 The moon with a 80/600 refractor (600mm focal length) and a 1/2 inch chip. The full disk would not fit but a crescent would. Negative image, to show the field limits. 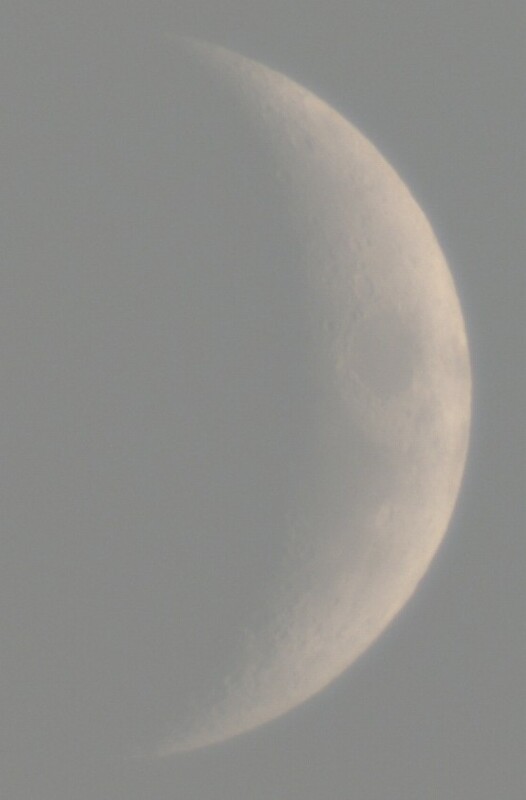 The moon with the 80/600 refractor (600mm focal length) using a 0.5x reducer. The full disk would easily fit. Negative image to show the field limits.